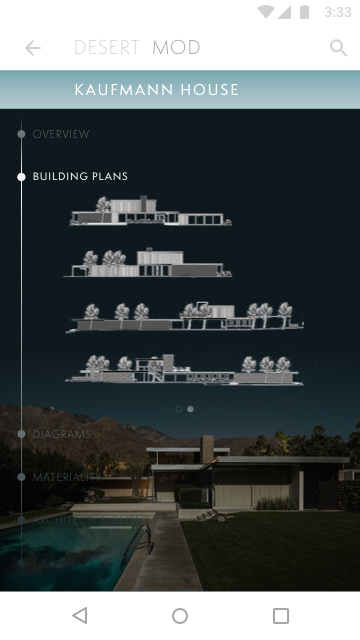 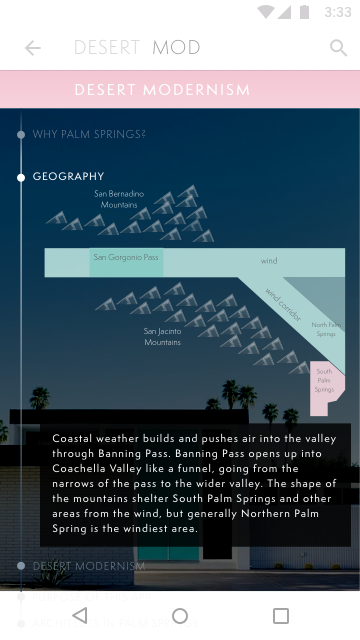 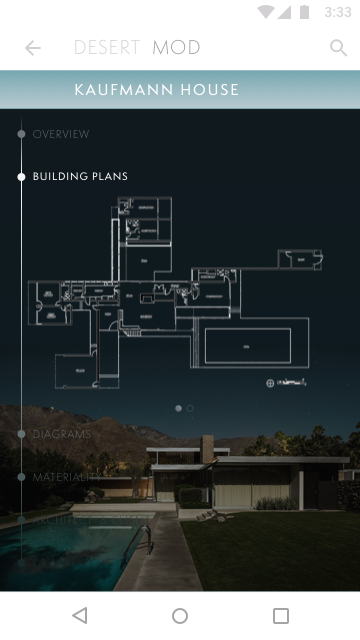 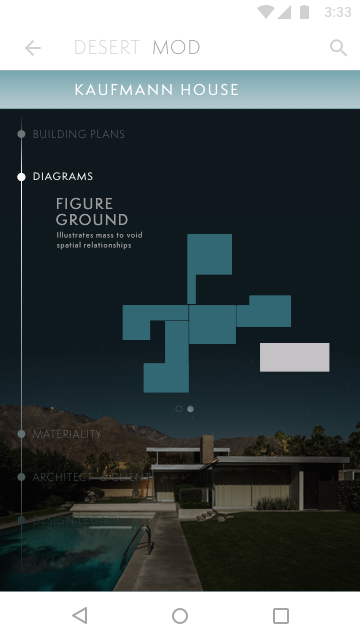 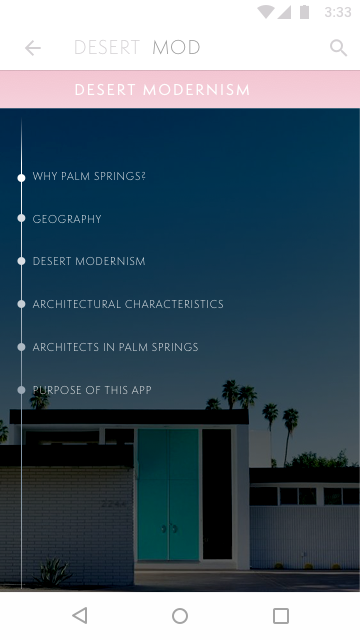 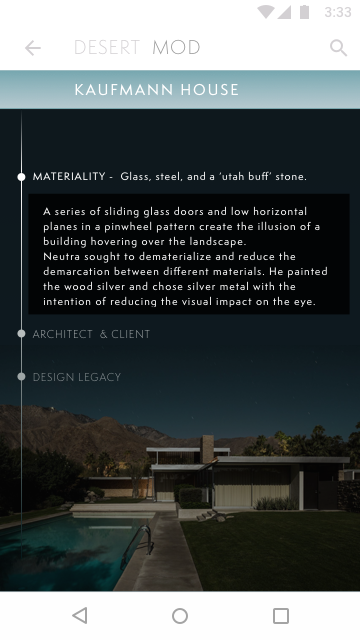 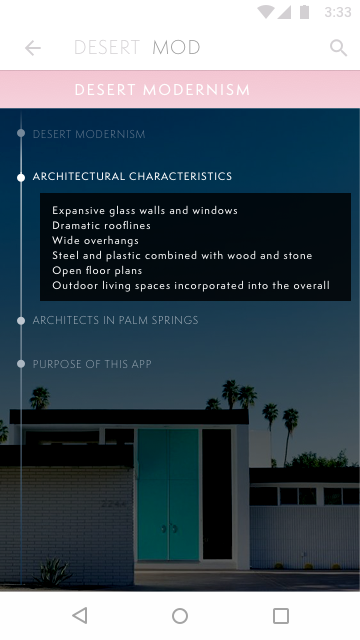 This conceptual app illustrates complex principles that form the philosophical foundation of Architecture through a series of mid-century modern case study houses in Palm Springs, California. 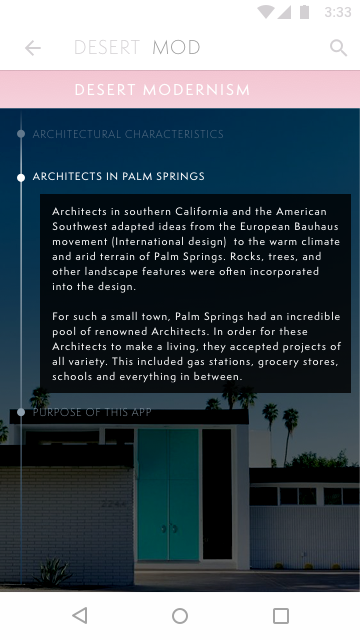 Light on text, heavy on visuals, this app seeks to create a clear, simple, and educational experience for users around the more obscure aspects of architecture. 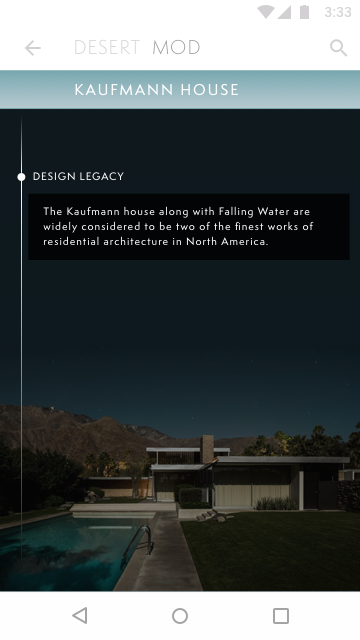 This flow shows the users progression from the splash screen, through the main landing page and into an experience of one house. 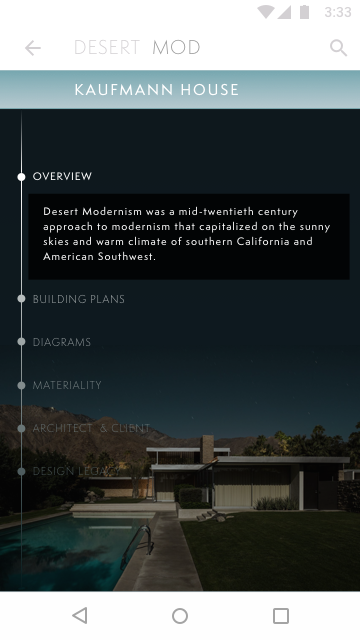 This flow shows the users progression through the topic of Desert Modernism. 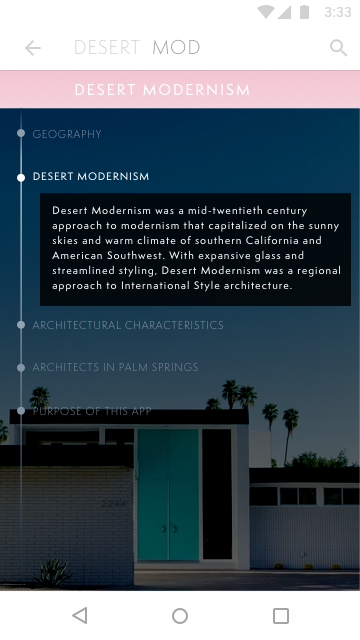 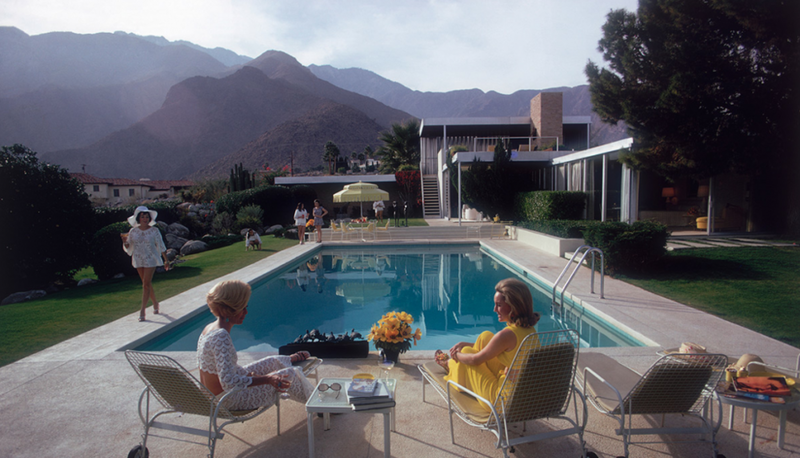 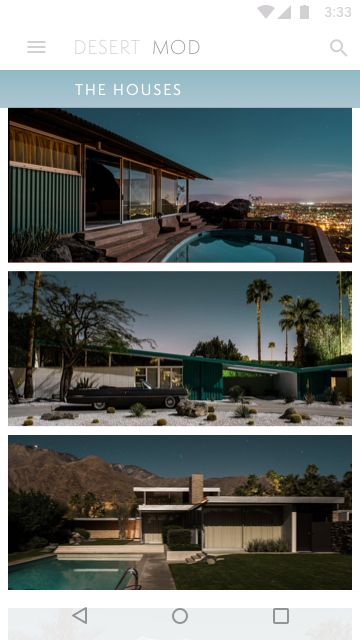 Desert Modernism is used to refer to the mid-century modern aesthetic specific to Palm Springs.